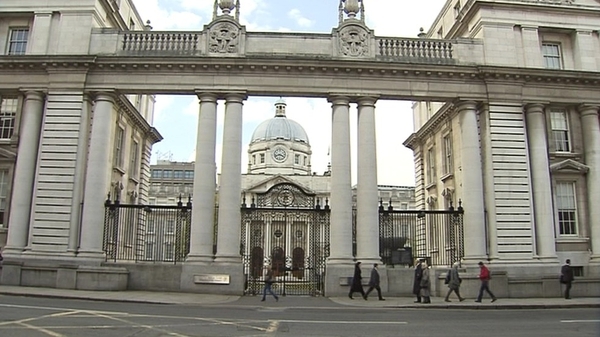 The Oireachtas has begun debating the Protection of Life during Pregnancy Bill. The bill provides a legal framework for abortions in Ireland where there is a real and substantial risk to the life of the woman. 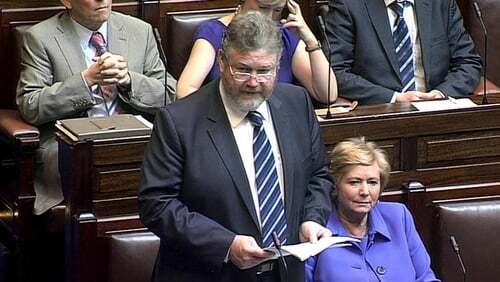 Minister for Health James Reilly said he believed the legislation would provide legal clarity for women using the health services and for medical professionals. He characterised the legislation as not a change in the law, but a clarification of it. Mr Reilly told the Dáil the current situation, where there was no legal framework, was dangerous for women who might be denied treatment to which they are entitled, and for the unborn. While on the other hand there were no limits on doctors carrying out abortions if they believed there was a threat of suicide, he added. If the legislation was abused, he said, he has the power to suspend its operation in the relevant institution and he would not be afraid to exercise that power. Fianna Fáil's Billy Kelleher said he realises the problems some people have with the issue, but he supports the bill. Fianna Fáil party whip Seán Ó Fearghail has said it is "almost inevitable" that there will be a Dáil vote on the bill, possibly as early as next Thursday. Mr Ó Fearghail, who opposes the bill, said that it is highly likely the required amount of TDs needed to call a vote, which is ten, will be forthcoming between Fianna Fáil, Sinn Féin, Independent and Government TDs who are against the bill. Three Fine Gael members of the Oireachtas have indicated they will vote against the bill. Fine Gael is imposing the whip on TDs and Senators and Taoiseach Enda Kenny has reiterated there will be no free vote. At a parliamentary party Deputy Peter Mathews failed to garner support to allow Fine Gael members a free vote. He and fellow Fine Gael TD Brian Walsh have indicated they will vote against the bill. Senator Fidelma Healy Eames has also said she could not support it while the suicide clause remains. Fianna Fáil is allowing a free vote. Sinn Féin, which has said it is broadly supportive of the proposed legislation, has said it will vote collectively. However, Sinn Féin TD Peadar Tóbín said last week that he will vote against the bill. It is understood that the second stage debate on the bill is due to continue in the Dáil next week, on Wednesday, Thursday and Friday. As of now, there are no plans to impose a guillotine on the debate. A poll commissioned by the Life Institute and Family and Life Organisation has found overwhelming majority of adults believe politicians should be given a free vote on the legislation. The poll also finds a significant majority of Fine Gael and Labour supporters favour the holding of a referendum on the issue rather than leaving the decision to legislators alone. The Amárach Research poll of 1,000 adults was conducted last month. Asked whether politicians should be allowed a free vote on abortion legislation, 70% said they should, 11% disagreed while 20% had no opinion.